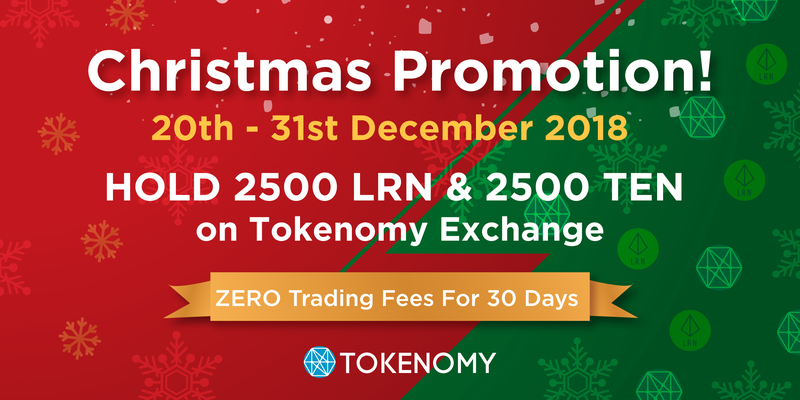 In celebration of the festive season, we will be holding a special Christmas month promotion on Tokenomy Exchange! From December 20th, all trading fees on Tokenomy Exchange will be waived for 30 days! All you have to do is hold at least 2500 LRN & 2500 TEN in your account throughout the promotion period. 5. Enjoy zero trading fees for 30 days! Happy holidays from all of us at Tokenomy! Thank you for all your support this past year!